It’s bold. It’s evocative. It’s purple. Ringing in the new year, we dream up new ideas, foster new hopes and formulate new resolutions. A post-festivities calm invites mental and emotional space back into our spheres. Now is the time to set intentions and birth imaginativeness. Fresh waves of energy begin to pulsate through the design world, and this year’s creative beat is a purpleicious palette: PANTONE 18-3838 is the trendiest colour in our cosmos. 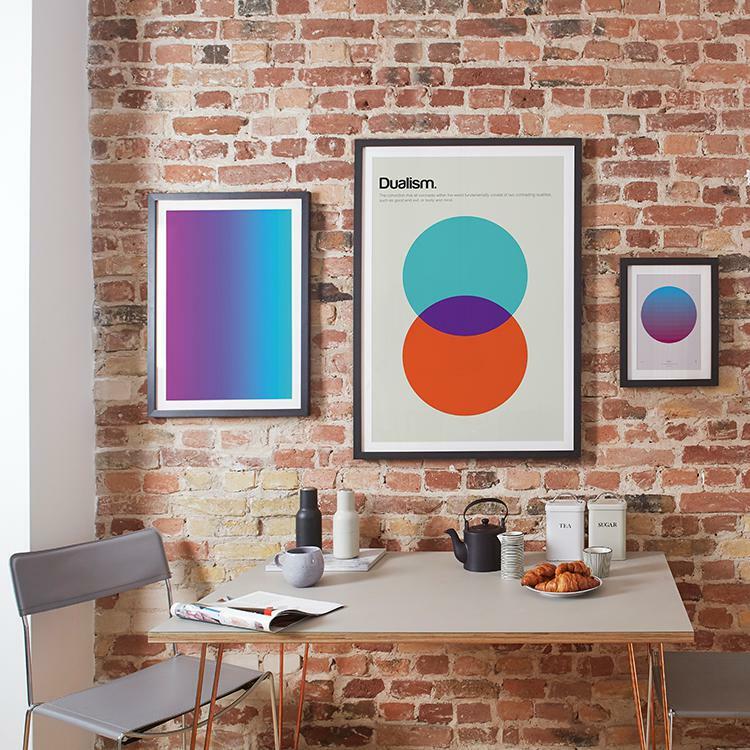 Over the past two decades, the Pantone Color Institute’s ‘Color of the Year’ declaration has undoubtedly become an impactful phenomenon on the world of interiors and design. Aestheticists spend months hypothesizing which hue will be next to work its way into everything from haute-couture runways to glossy interior magazines to rejuvenated corporate identities. And we would certainly be lying if we claimed that we, at JUNIQE, didn’t do our own fair share of speculating as 2017 came to an end. 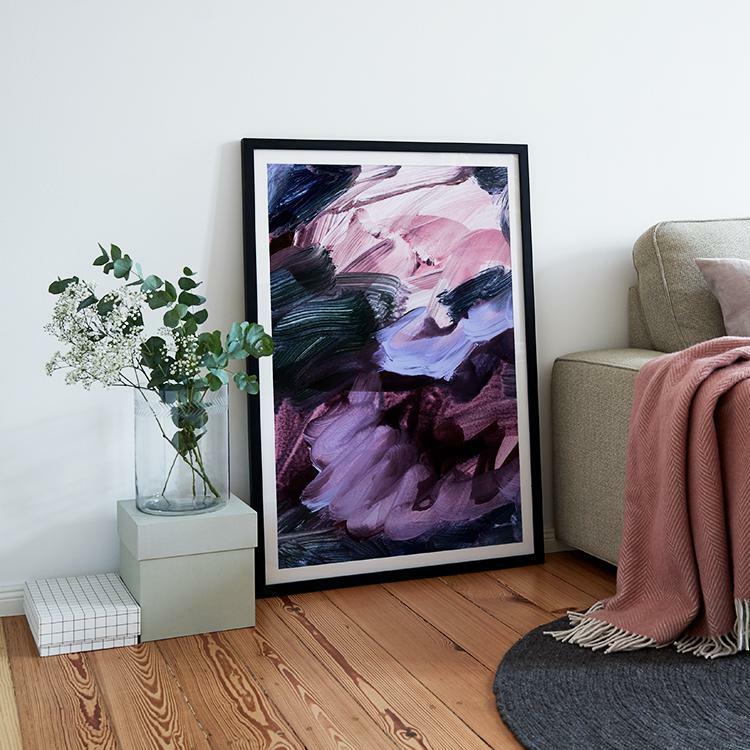 With visions of self-expression in one hand, and and an art-filled catalogue in the other, we invite you to turn on Jimi Hendrix’s ‘Purple Haze’, turn up the volume, and welcome an invigorating splash of Ultra Violet into your home. Looking at the light spectrum, ultraviolet is virtually invisible to the human eye. And yet, somewhere between fierce, passionate reds and calming seas of blue, the purple shade’s complexity shines forth, like a steady beam. Pantone certainly did some research on the spiritual front when selecting this year’s colour. Violet is the colour of the crown chakra, which is closely connected to our innate need for balance. The crown chakra is the energy centre in the body. It engages our consciousness and aids our transcendence. The best way to channel this calm into your décor? Purple geometry and gradients serve as a gentle, everyday reminders to always stand firmly with two feet on the ground, while maintaining a connectedness to the universe and the divine. Speaking of the universe, Ultra Violet also embodies the sense of endless opportunity presented by the future. In 2000, the new millennium signified the arrival of a digital age, and a mere 18 years later, our world is evolving faster than you can say Planet Nine. Leatrice Eisemann, Executive Director of the Pantone Color Institute, explains on Pantone’s Color of the Year page: “From exploring new technologies and the greater galaxy, to artistic expression and spiritual reflection, intuitive Ultra Violet lights the way to what is yet to come.” No doubt, her astronomical and astrological interpretation of PANTONE 18-3838 is also rooted in technology, data and trend research. So what do you want to achieve this year? 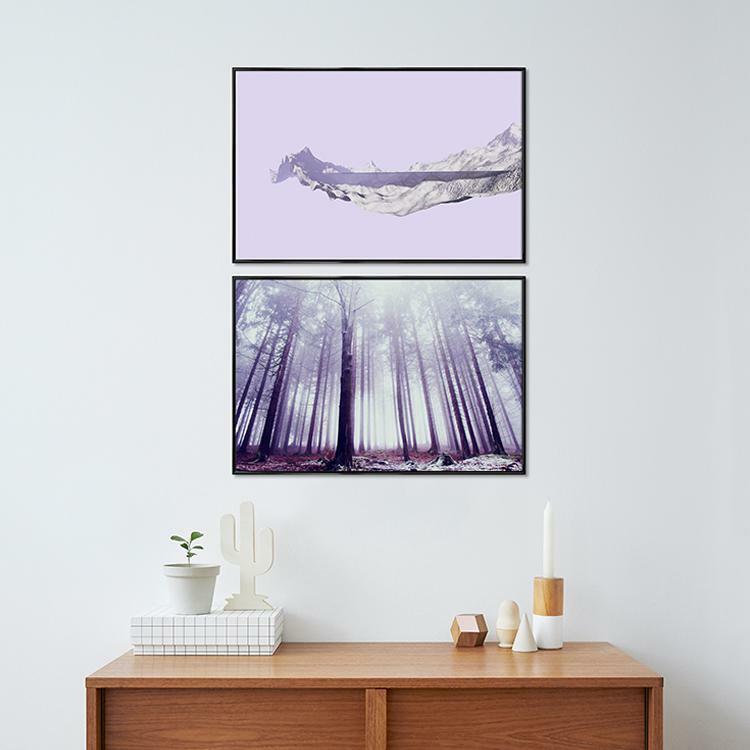 Take a step forward, place your trust in the macrocosm, and master the art of manifestation á la JUNIQE with the help of galactic purple art prints. Ultra Violet is here to remind you that the world is at your feet. From deserts and forests to oceans and mountains, purple is not exactly the first colour that comes to mind when we think of Mother Nature. But if you pay close attention, you’d be surprised at how noticeably it weaves its way in and out of your environment. Take the blue hour, that moment of twilight where the sky hits its photogenic peak—would it be so magnificent if not framed by fiery oranges and vivid violets? Or the misty air on a damp February morning. Can you spot the hint of lavender beckoning you out of bed in the grey-tinged light? 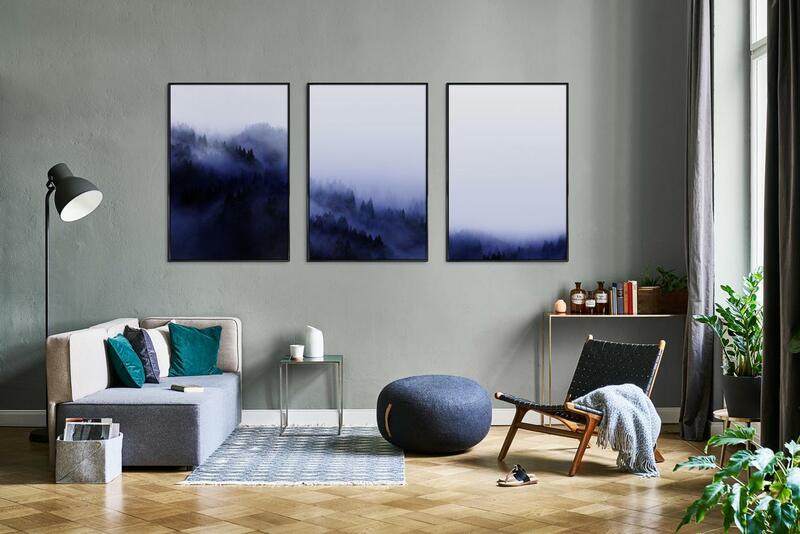 With these pictures in mind, our selection of purple-tinged fine art nature photography might just be the next best thing to taking in the sunrise from a magical mountaintop. 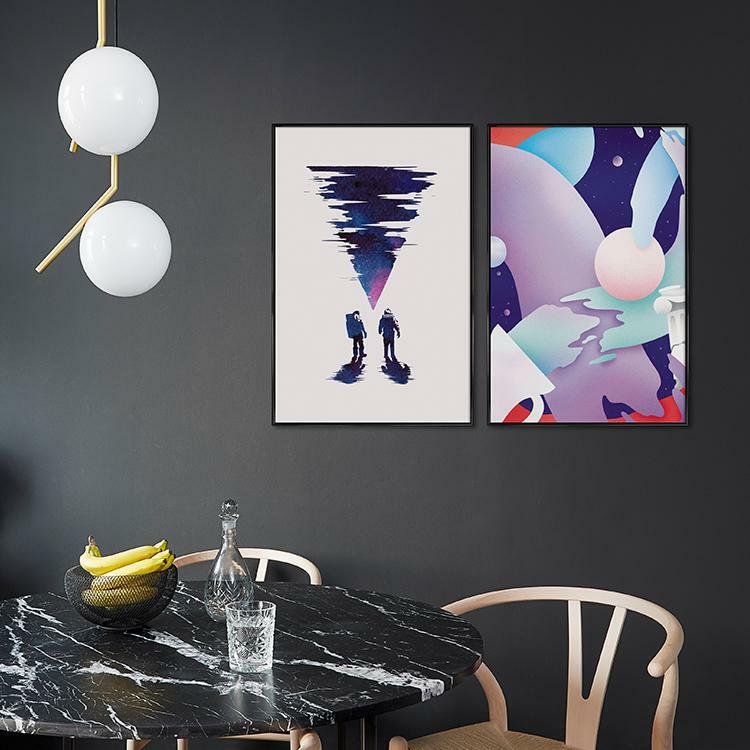 And finally, for those of you that are readier than ever to ride the Ultra Violet wave, go all out in your interior with this mystical triptych by typealive. Incidentally, this eye-catching statement set also happens to be of our most prized gallery walls at the JUNIQE headquarters. Be it a poster for your office or a cushion for your home, be it a patterned notebook or an amethyst skyline, we invite you to embrace the spirit and power of the colour purple in the year to come. Join us on our 2018 mission to see: Ultra Violet. Everywhere.